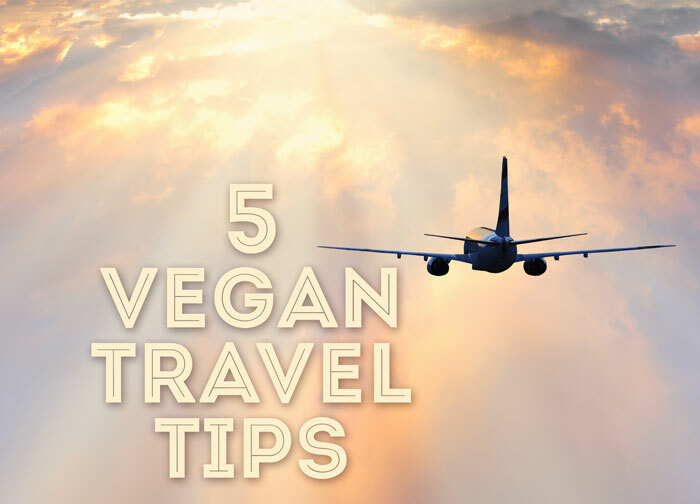 As always, when we are planning a trip, we scope out vegan options. Because we usually rent a place where we can cook, we know we will be okay even if the local vegan offerings are slim. Cooking your own meals not only means eating exactly the way you want but it costs a lot less too (frugal travel tip!). 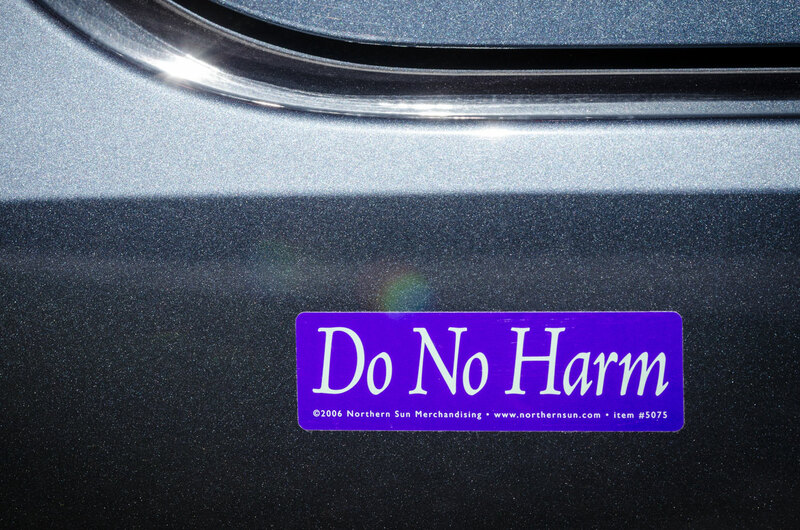 New Smyrna Beach, a beautiful vacation destination, is not what we would consider vegan friendly by any stretch. 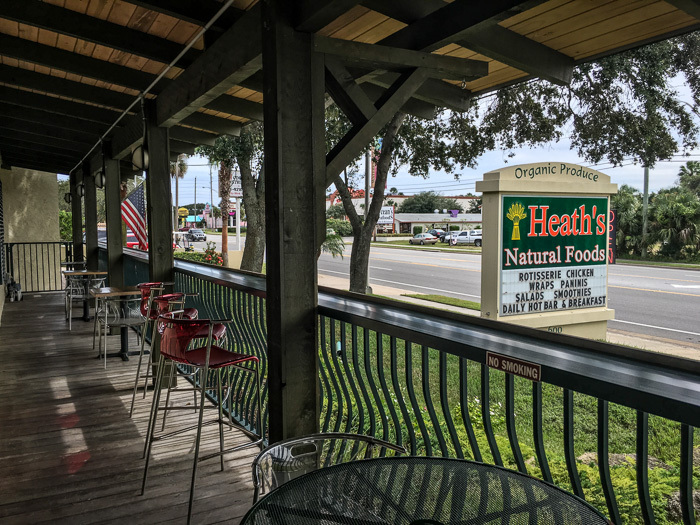 Before arriving, the only vegan friendly spot we uncovered was Heath’s Natural Foods, New Smyrna Beach and though it proved to be the only one we found in the week we were there, it did not disappoint. 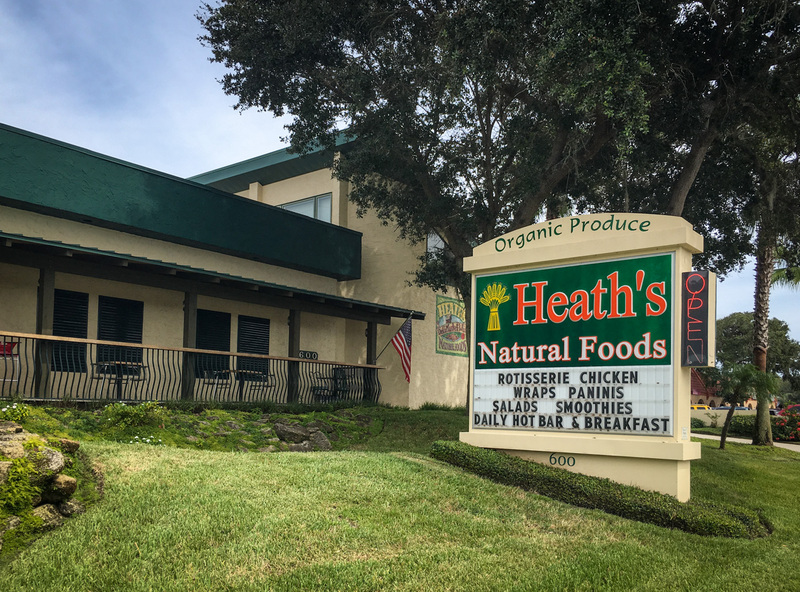 Heath’s Natural Foods, New Smyrna Beach is in a convenient location directly on Rt A1A (part of the New Smyrna Beach “Loop”) whether crossing town by car, or cruising along on one of the ubiquitous fat-tire bikes on your way to the beach. Parking is slightly cramped behind the building, but sufficient. Once inside the scene is clean and bright with well stocked shelves and coolers filled with a wide range of the delightful options you find at co-ops and other “alternative” groceries. You will find fresh, organic produce, natural health care products and a great supply of organic and gluten free grocery items. The deli at Heath’s Natural Foods. Lots of options for everyone, but particularly for vegans! The staff at Heath’s was warm, welcoming and enthusiastic about their vegan offerings. 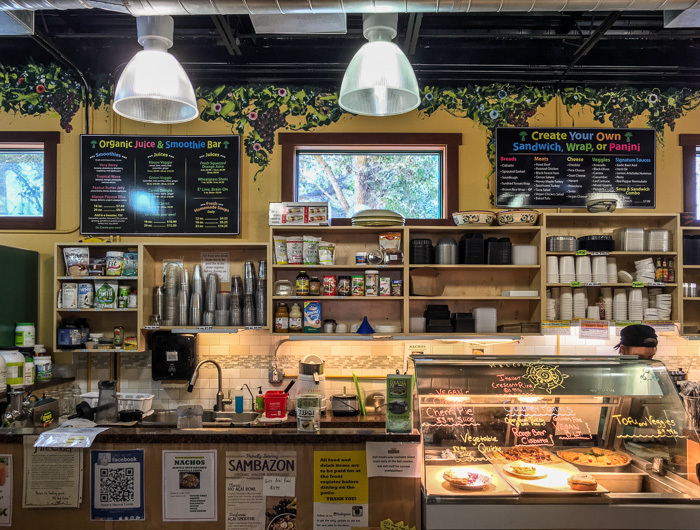 While they cater to vegans and non vegans alike, there was plenty to choose from with an assortment of beautiful salads, sandwiches and pizzas, which are freshly made there and available at the deli or at the grab-and-go section. We love food, so imagine our delight to get to test the salads and sauces (like garlic and basil aioli and a killer remoulade) before making our selections. 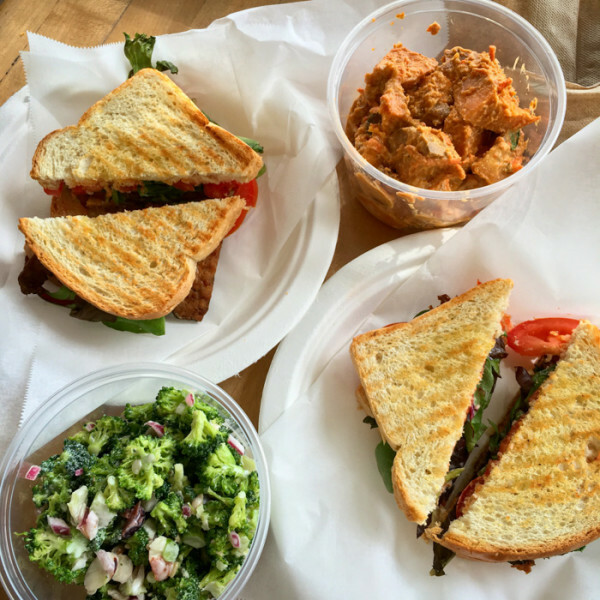 We had panini-style B*LTs made with tempeh bacon on sourdough, with an Asian sweet potato salad and broccoli salad on the side. Delish! Heath’s isn’t particularly cheap, so this was a bit of a “splurge” treat for us. The lunch for two, with drinks, was just about $20. But it was as delicious and pleasant as any casual lunch out and it would be hard to do much better in a vacation destination spot like New Smyrna Beach, to be honest. Plus we were able to enjoy it on their comfortable outdoor dining area. Bonus! A note about the broccoli salad: it rivaled that classic picnic broccoli salad with red onion, cranberries and celery that looks great until you realize there is crumbled bacon in it (boo!). This one substituted pumpkin seeds, almonds and sunflower seeds, providing all the crunch and the hint of salt to make this a total winner. We love finding these places too! The Asian sweet potato salad had surprising flavors. 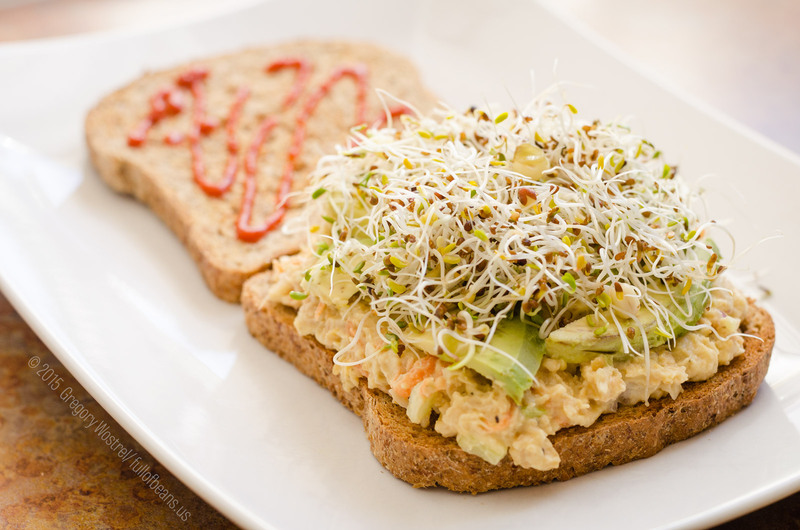 It was made with veganaise (we use just mayo), dates, cilantro, pumpkin seeds, shredded carrots, rice vinegar mirin, soy sauce, sesame oil, lemon, agave, trocomara, sea salt and black pepper. We didn’t get the recipe. We just saw the ingredients list. next post: Vegan Chili That Everyone Will Rave About!